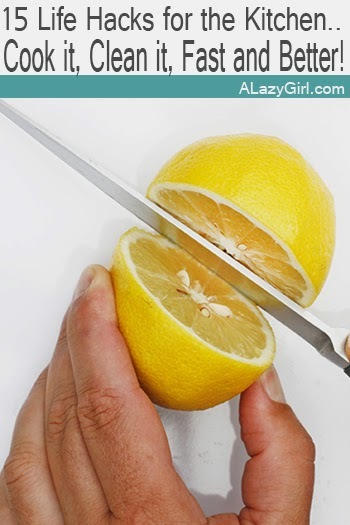 15 Life Hacks for the Kitchen.. Cook it, Clean it, Fast and Better! It's never much fun cleaning the kitchen, it is one of those never ending, relentless tasks. Here at a Lazy Girl we have a bunch of tips that should help you get in and out of the kitchen faster and on to the rest of your life, plus a few other great kitchen related tips! If you are out of this you can sub in that. What are your favorite tips for "kitchen life hacks". Please share them below.